Background/Purpose: GSK3196165 is a high-affinity anti-GM-CSF cytokine IgG mAb currently in development for RA, with reported efficacy using IV dosing. This study evaluated the effects of GSK3196165 in RA. Methods: 39 adult subjects with RA per ACR 2010 criteria, ≥4 each of swollen and tender joints, DAS28(CRP) ≥3.2, CRP ≥3.0 mg/L, were randomized (1:3) to placebo or GSK3196165 180 mg SC weekly for 5 injections, then every other week for 3 further injections. Primary outcome was change from baseline (CFB) in exploratory serum biomarkers, effects on circulating cells, assessment of inflammatory joint damage in the hand/wrist using DCE-MRI, and clinical outcomes. Results: A total of 7/11 (64%) subjects in the placebo group and 23/28 (82%) in the GSK3196165 group completed the study. Patients characteristics were well balanced. Observed PK exposures were lower than anticipated from previous studies. During the 5 weekly doses, maximum pre-dose concentrations were observed at Week 4 with geometric mean of 2,790 ng/mL (CVb 65.3%), however concentrations dropped unexpectedly after reducing dosing frequency. At Week 12, pre-dose geometric mean concentration was 991 ng/mL (CVb 86.5%). GM-CSF-mAb Complex (target engagement) in the GSK3196165 group increased during weekly dosing, to peak at 138 ng/L (CVb 151%) at Week 4. Consistent with the PK profile, the Complex declined from Week 6 to Week 12 and was undetectable after cessation of treatment. CCL17 declined in only the GSK3196165 group, with a 35% CFB at Week 2. Consistent with the PK profile, after Week 8 CCL17 then increased back towards baseline. Week 12 results are in the Table below. No observable differences between placebo and GSK3169165 groups were noted for most biomarkers. All imaging measures of synovial inflammation showed a reduction at Week 12 (see Table). No structural changes were observed. The onset of clinical effect across most endpoints was seen at Week 1, but appeared to plateau from Week 6 onwards. The difference of active over placebo at Week 12 was reflected in other clinical endpoints with or without acute-phase reactants (see Table). GSK3196165 was well-tolerated, AEs were similar across both arms. No SAEs, significant infections and/or pulmonary events were observed. Conclusion: Clinical efficacy with consistent improvement in MRI synovitis score was observed in this study. Lower than predicted exposure following dosing every two weeks was reflected in lower concentration of GM-CSF-mAb complex and less suppression of CCL17. Further studies are required to confirm the additional clinical benefit expected with increased exposure from weekly dosing of GSK3196165 in patients with RA. Study NCT02799472 was funded by GSK. Disclosure: M. C. Genovese, GeaxoSmithKline, 5; M. Berkowitz, None; P. G. Conaghan, AbbVie Inc., 5,Bristol-Myers Squibb, 8, 9,GlaxoSmithKline, 5,Novartis, 5, 8,Pfizer, Inc., 5, 8,Roche, 8; K. Davy, GlaxoSmithKline, 1, 3; D. Inman, GlaxoSmithKline, 1, 3; E. Fisheleva, GlaxoSmithKline, 1; A. Gupta, GlaxoSmithKline, 1, 3; R. Janiczek, GlaxoSmithKline, 1, 3; M. Layton, GlaxoSmithKline, 1, 3; N. Mitchell, GlaxoSmithKline, 3; J. Patel, GlaxoSmithKline, 1, 3; J. E. Smith, Glaxo Smith Kline PLC, 3; R. Williamson, GlaxoSmithKline, 1, 3; P. P. Tak, GlaxoSmithKline, 1, 3. Genovese MC, Berkowitz M, Conaghan PG, Davy K, Inman D, Fisheleva E, Gupta A, Janiczek R, Layton M, Mitchell N, Patel J, Smith JE, Williamson R, Tak PP. A Phase IIa Mechanistic Study of Anti-GM-CSF (GSK3196165) with Methotrexate Treatment in Patients with Rheumatoid Arthritis (RA) and an Inadequate Response to Methotrexate [abstract]. Arthritis Rheumatol. 2018; 70 (suppl 10). 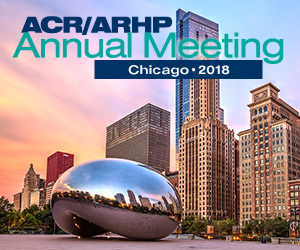 https://acrabstracts.org/abstract/a-phase-iia-mechanistic-study-of-anti-gm-csf-gsk3196165-with-methotrexate-treatment-in-patients-with-rheumatoid-arthritis-ra-and-an-inadequate-response-to-methotrexate/. Accessed April 18, 2019.